The kind of upright, hard working and intelligent men who built this great nation. The kind of men you can depend upon in a crisis. The type of the Men can get things done. These are the sort of men you won't find in our Goofy Guys collection! For this collection, we've searched for men who are doing their very best, even when their very best isn't all that great. Some of manhood's greatest failings seem to show up in situation comedies. And they start young, too, just ask Henry Aldrich. It seems like they don't grow as much wisdom as they should if you listen to the likes of Fibber McGee and Molly or The Great Gildersleeve. Of course there is nothing more manly than Fatherhood, but you wouldn't know from listening to The Life Of Riley with William Bendix. Of course part of the reason fathers have such fits might be little boys, even wooden ones like Charlie McCarthy. Texaco Fire Chief brought us the Perfect Fool, Ed Wynn, in the 30's. Al Pierce was a door to door salesmen before he made his move to show business, and if he was as effective a salesmen as the one he played on his Columbia/Don Lee Network show, show biz was a good choice! Alan Young would be better known for his later association with Mr. Ed, but he built his reputation with his rapid fire jokes on the radio. 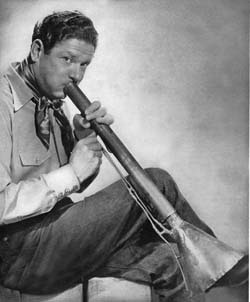 Bob Burns had been a Marine in WWI before making a splash on radio; he would entertain his shipmates with a homemade instrument he called a bazooka, sort of a trombone made from pipes and whiskey funnel- the G.I. 's kept the name for their WWII antitank weapon. 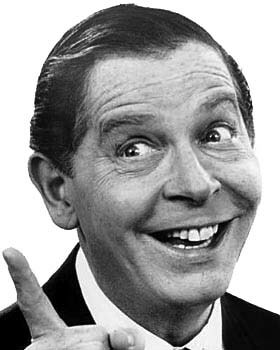 Before he became Mr. Television, Milton Berle was a big hit on the radio, he was so dedicated to making it on the radio that Uncle Milty gave up a number of profitable night-club appearances to make his radio show. We'll forever wonder whether the world got the best of Red Skelton's many characters or if it was the other way around. Few acts lasted as long on the radio as Amos 'n' Andy, but the characters never quite got ahead even with their schemes. If the fellows in our Goofy Guys collection don't display lots of manly intelligence, they do give us a good time. In the interest of gender equality, be sure to check our Wacky Women collection. Be the first to comment on "Goofy Guys"